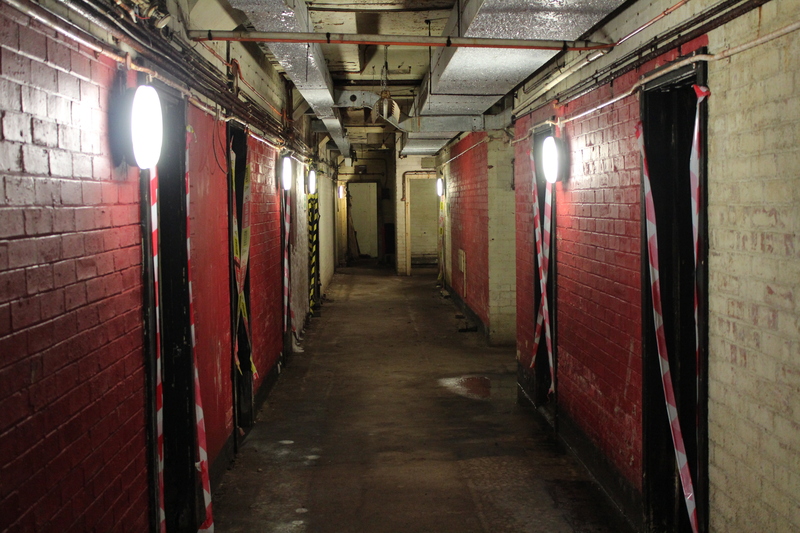 Hidden away underneath a particularly nondescript brick building in the suburbs of North London – Dollis Hill to be exact – lie the standby cabinet war rooms. 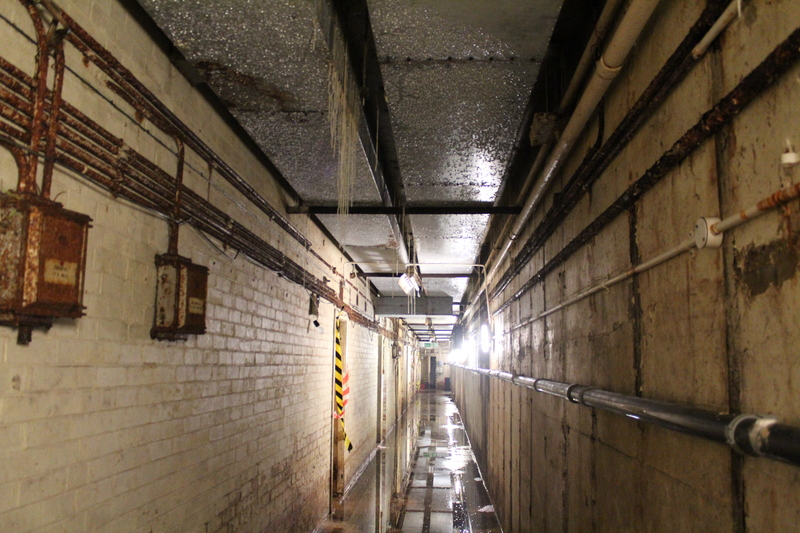 These bombproof rooms would have been put into use for Churchill’s cabinet should the secret war rooms in Westminster have been damaged or destroyed. 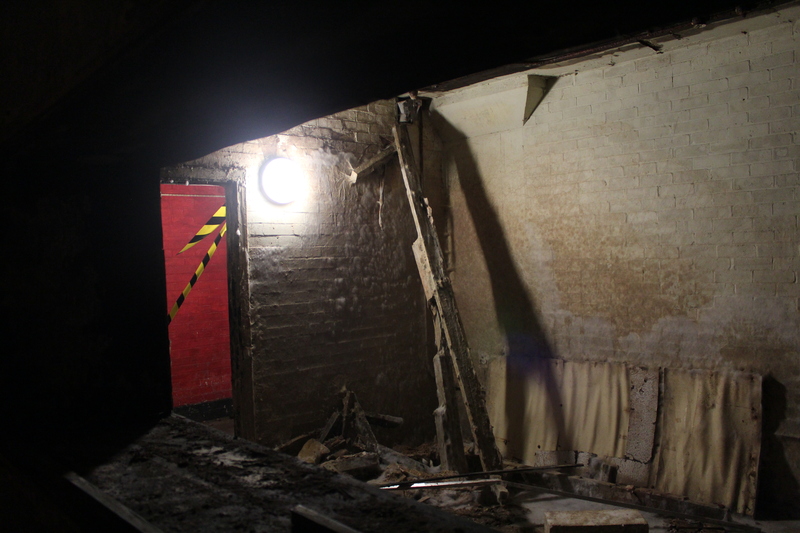 Thanks to Subterranea Britannica, the rooms are opened up a couple of times a year, providing you with an opportunity to explore their beautiful dereliction. Plans for the standby cabinet rooms began in 1938, with war imminent, and construction commenced in 1939 below the site of the Post Office Research Station. After 13 months and at a cost of £250,000 the rooms – code-named ‘PADDOCK’ – were complete. As it turned out, they were only used for cabinet meetings on two occasions, with the more vulnerable Westminster rooms remaining unharmed. After the war the entire site reverted to use by the Post Office. They moved out in 1976 and the war rooms have been unoccupied since. 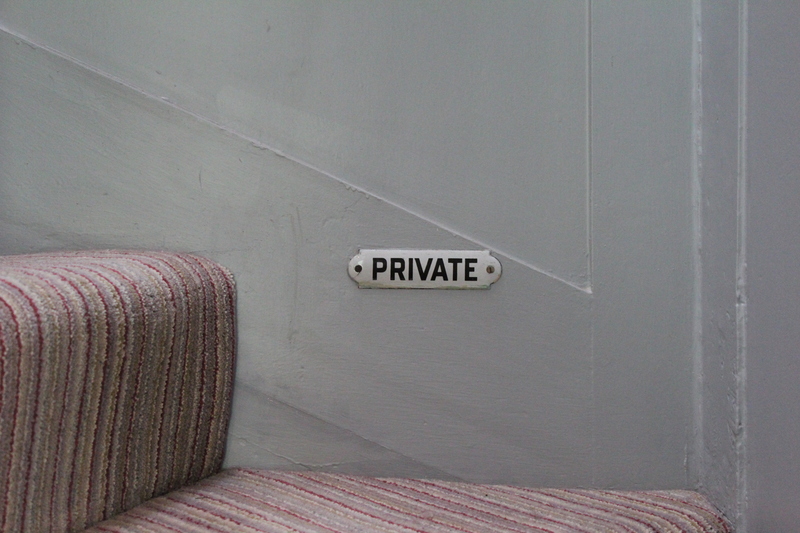 Houses were developed across the site in the late 1990s, but on the agreement that the alternative war rooms remain and are opened up to the public at least twice a year. 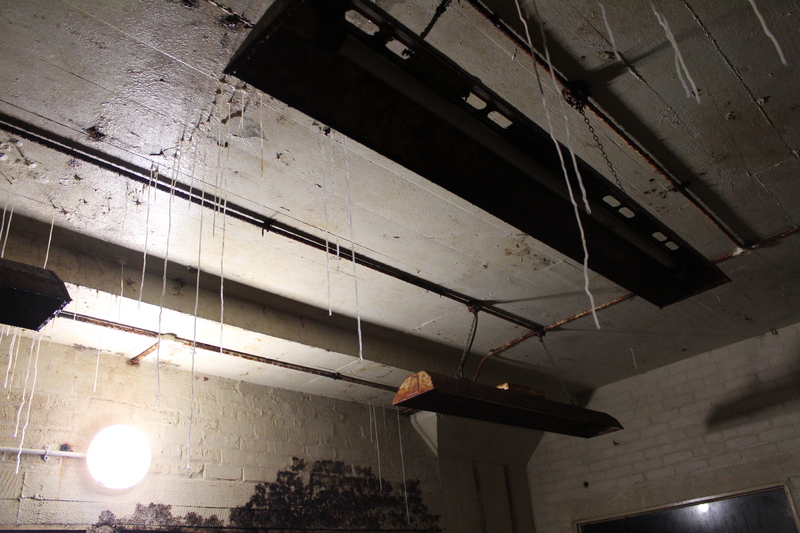 As these photographs amply attest, the rooms’ original features are still in situ and in a high level of dereliction, with stalactites forming on the ceilings, fittings rusting away and mould blooming on walls. 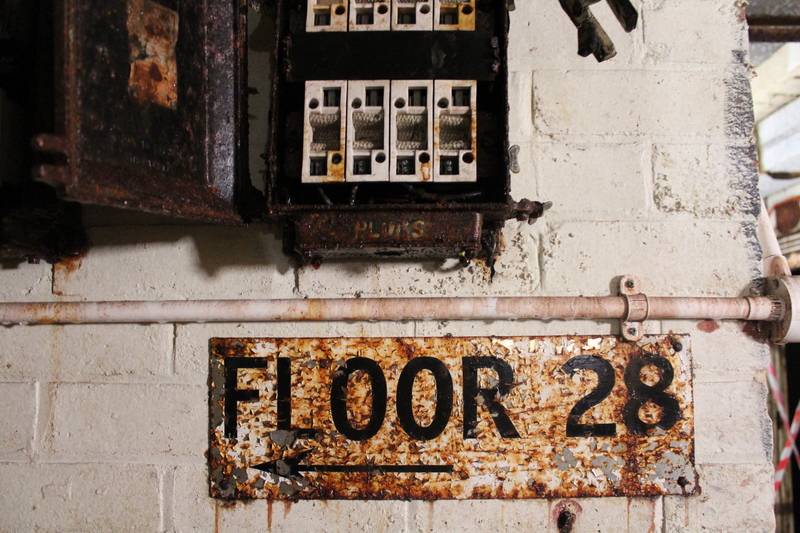 Our tour included the air filtration room, the lower plant room with its massive generator, the telephone exchange room and what was once the map room, which would once have had maps adorning the wall and a map table in the middle of the room. Today the maps have disappeared but you can see the tide mark from the water that had flooded the map room after it was abandoned. What we didn’t visit was the toilets, as these were amazingly left out of the design process – apparently a fire bucket or a dash to the post office buildings above had to suffice. Last weekend’s opening was part of the London Festival of Archaeology, but the site will also be open for tours again in September as part of Open House London, and I highly recommend adding it to your list for that busy weekend. 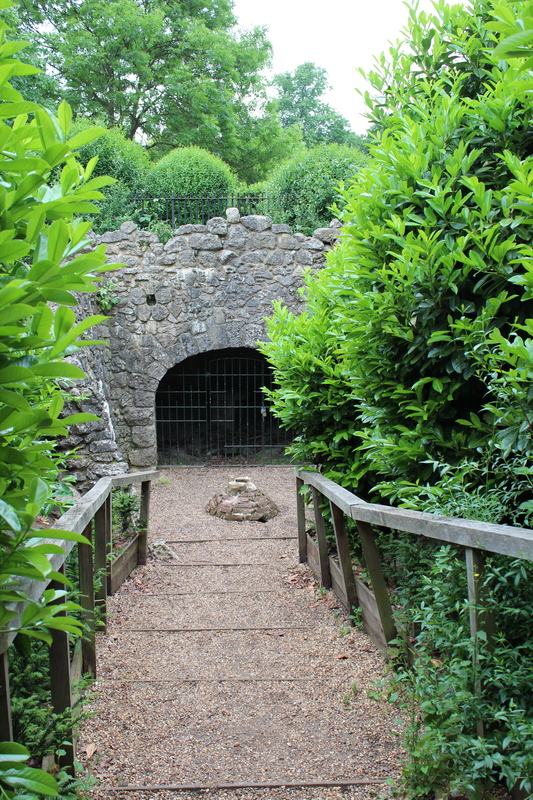 Subterranea Britannica also has detailed information about the rooms on its website. 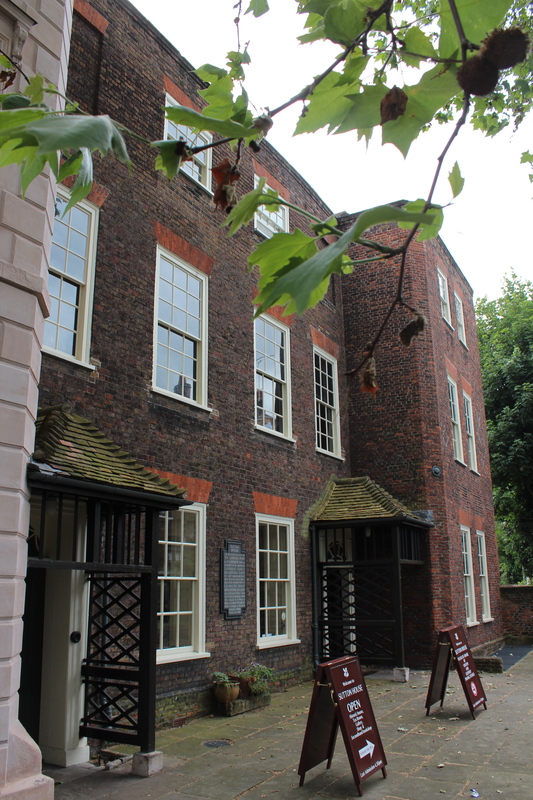 Hogarth’s House must be one of London’s oldest house museums. It was first opened to the public in 1904 after one Lieutenant-Colonel Shipway purchased the property for this purpose. 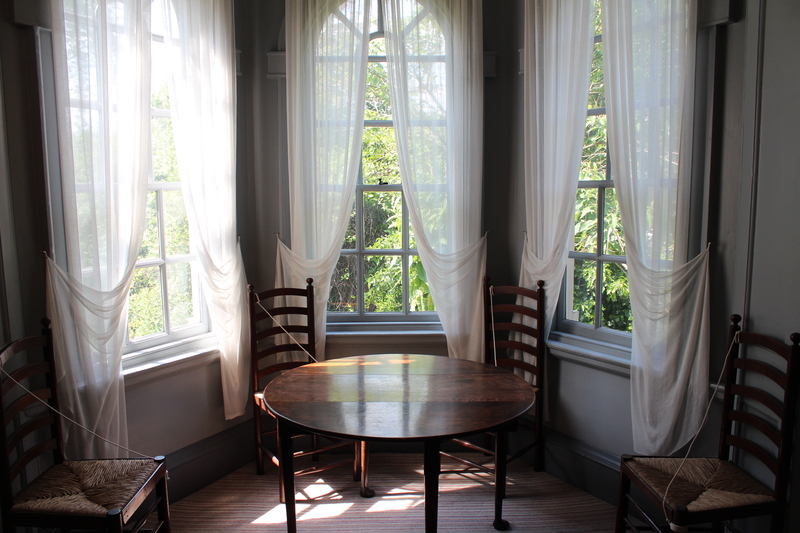 He also commissioned the reproduction of Georgian-style furniture for the house from the Chiswick Art-Workers’ Guild, with each piece based on a piece of furniture featured in Hogarth’s work. This furniture is still on display in the house today – along with some of Hogarth’s personal possessions, including a palette and a snuff box – and sits well with the lovingly restored Georgian interiors. Hogarth depicted life in Georgian London (often menacing, mercenary and decadent it turns out) in his satirical illustrations and series of paintings on ‘modern moral subjects’, the latter being serialised as hugely popular prints. 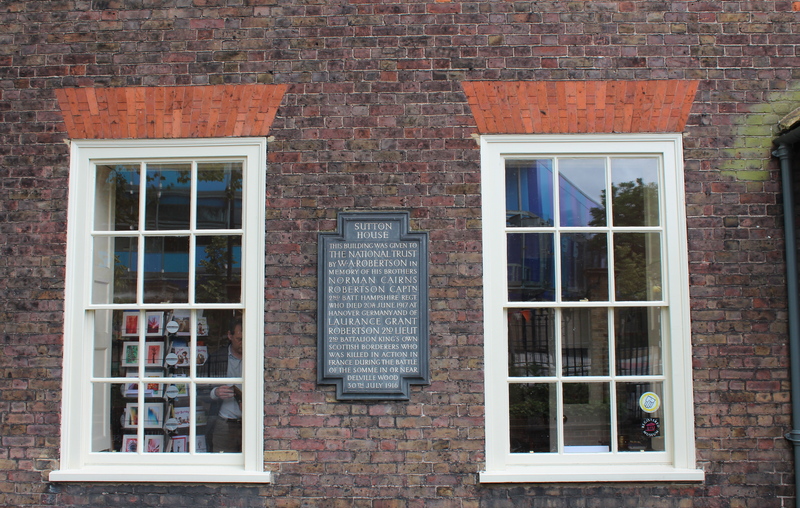 Copies of a number of these prints are on display in the house, including Gin Lane, Beer Street and The Four Stages of Cruelty – so if you’re looking for a a crash course in Hogarth’s work a visit to his former abode might be just the thing. 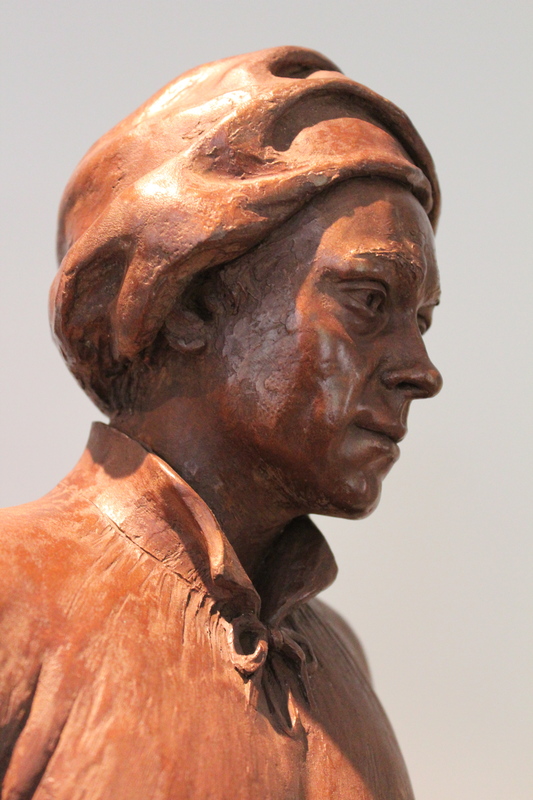 The model for Jim Mathieson’s statue of Hogarth is on display at the house. 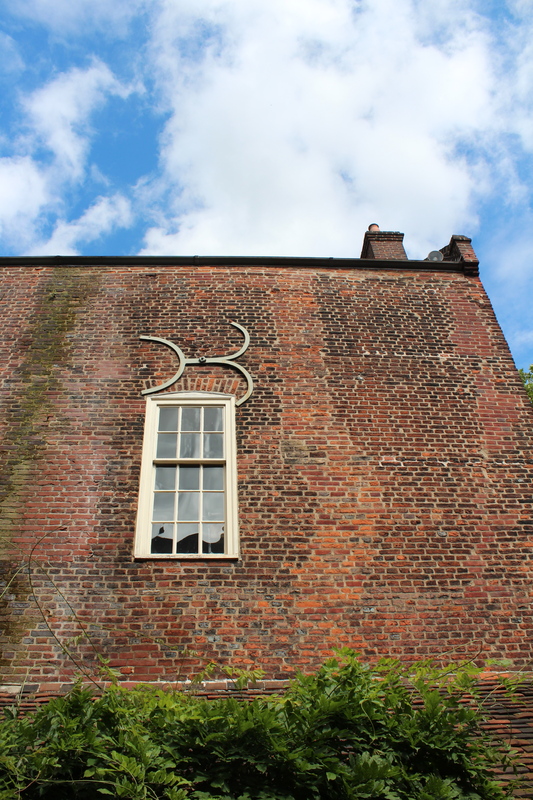 The house itself was built around 1700 and Hogarth lived here from 1749 until his death in 1764. 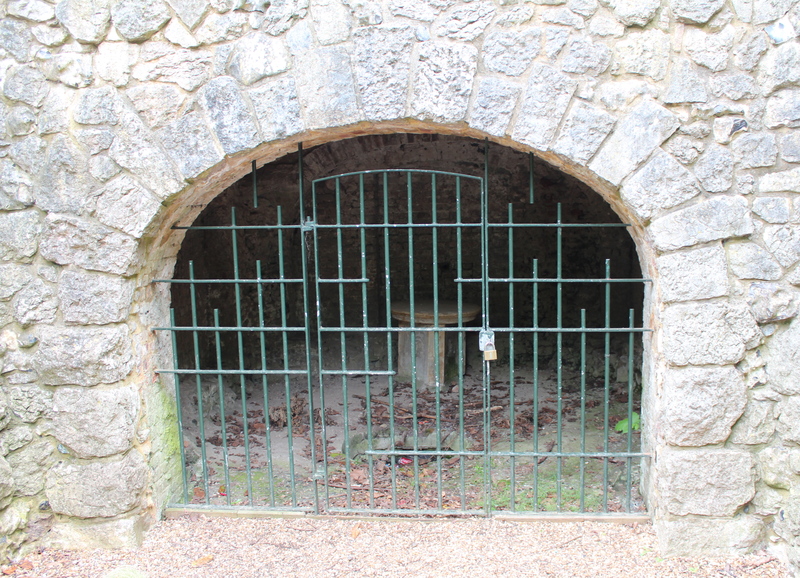 His wife Jane stayed on in the house after his death – apparently on the condition that she did not remarry. 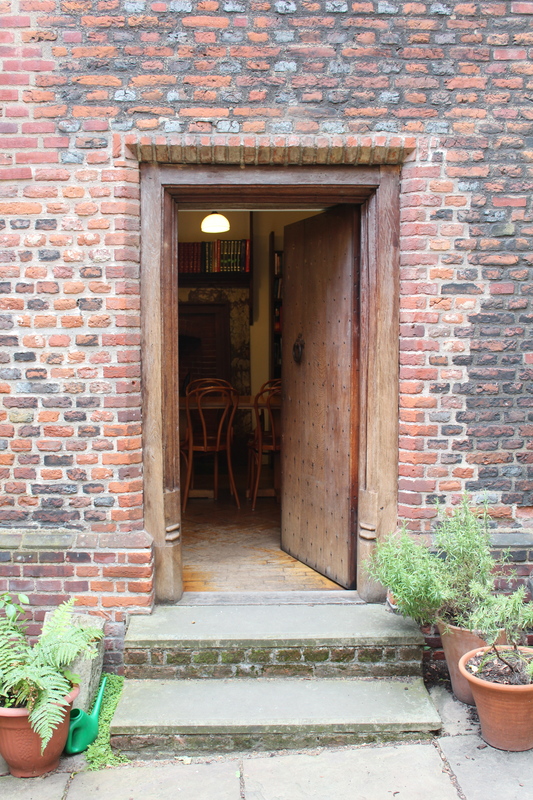 Jane Hogarth organised the extension of the kitchen wing on the ground floor, which is now a gallery. Currently on display is a range of historical pictures of the house and photographs documenting its recent restoration and unfortunate history of damage – it was badly bombed in the Second World War and a fire broke out in 2009 during the restoration process, delaying its re-opening until November 2011. 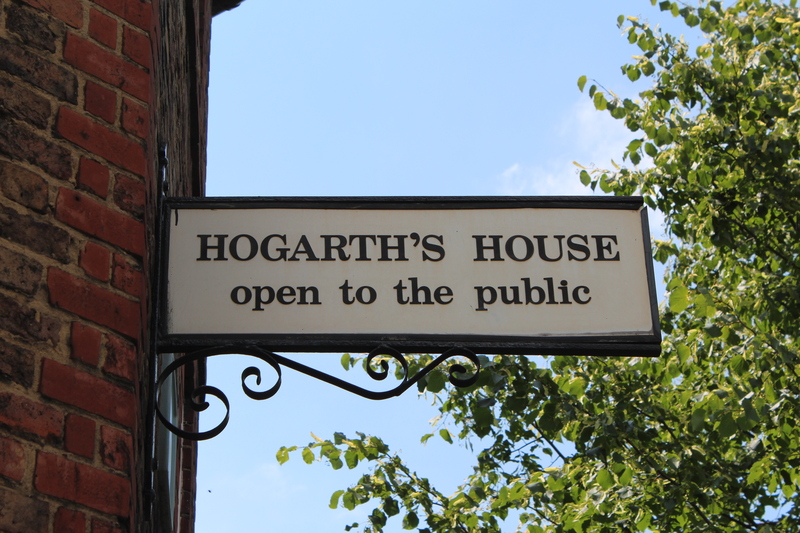 Hogarth’s House is open 12 noon to 5pm, Tuesday to Sunday and Bank Holidays. Admission is free. 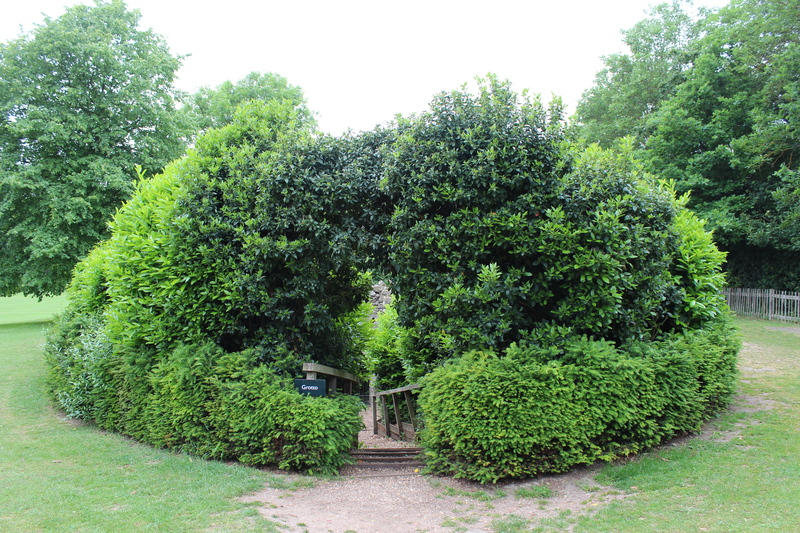 The closest tube in Turnham Green – keep an eye out for the Jim Mathieson statue of Hogarth (and his pug dog) just down the road from the station, on the corner of Turnham Green Terrace and Chiswick High Road. 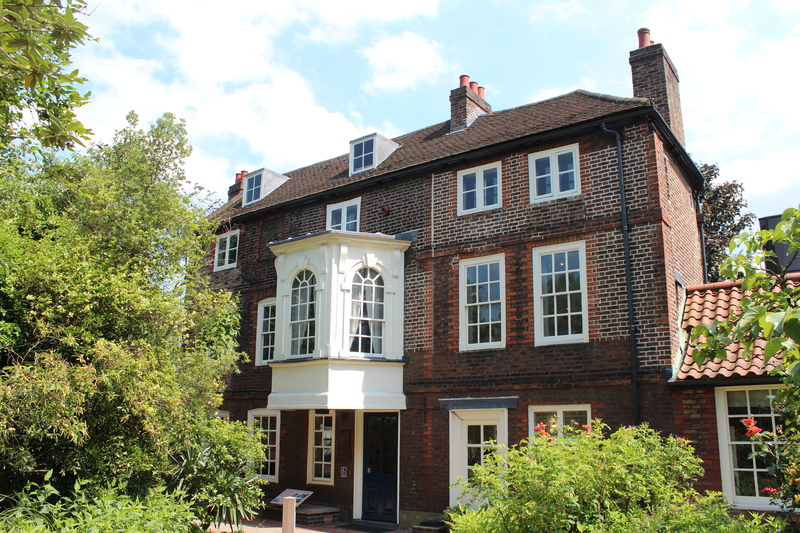 You could combine a trip to Hogarth’s House with a visit to Chiswick House and Gardens, which is located virtually next door. If like me you have a liking for layers of history and secret things hidden behind doors and panels, then Hackney’s Sutton House is just the thing. Built in 1535 – making this National Trust property East London’s oldest domestic dwelling – it’s one of those London places you keep meaning to visit and then wonder why you’ve left it so long when you do. The first thing that struck me about Sutton House was just how very old it felt. 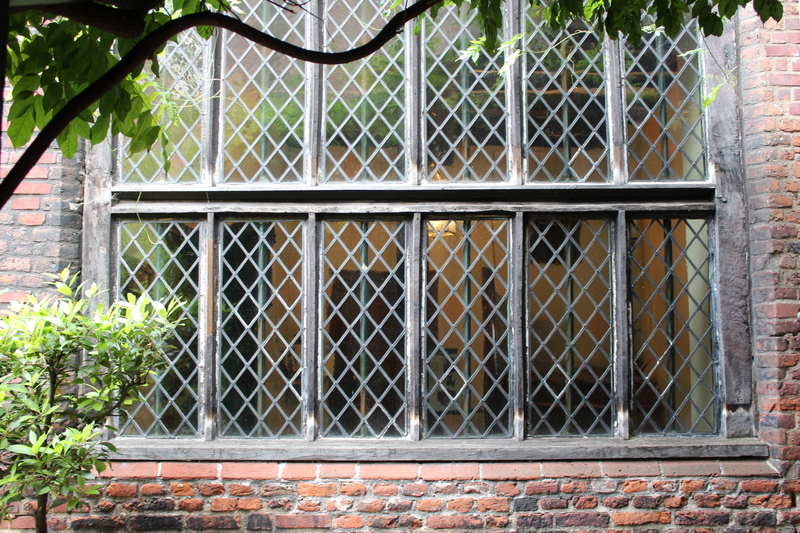 As a Tudor building it is of course significantly older than the many Georgian dwellings you can visit around London – and it very much feels like it. The magnificent wood panelling of the Linenfold Parlour – carved to look like draped linen – which greets you in the first room is quite stunning. It’s not surprising to learn that back in the day people often took their wood panelling with them when they moved house, as it would have also been very expensive. 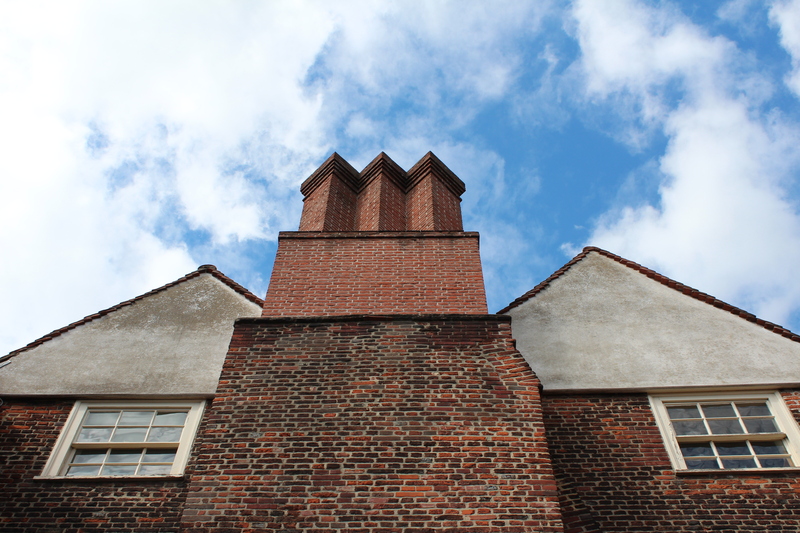 Originally built as a home for courtier Ralph Sadleir, Sutton House has seen a wide variety of residents over the years, including schools, the St John’s Church Institute and a group of squatters in the 1980s. One of my favourite aspects of the house it how it still represents so many of these groups. 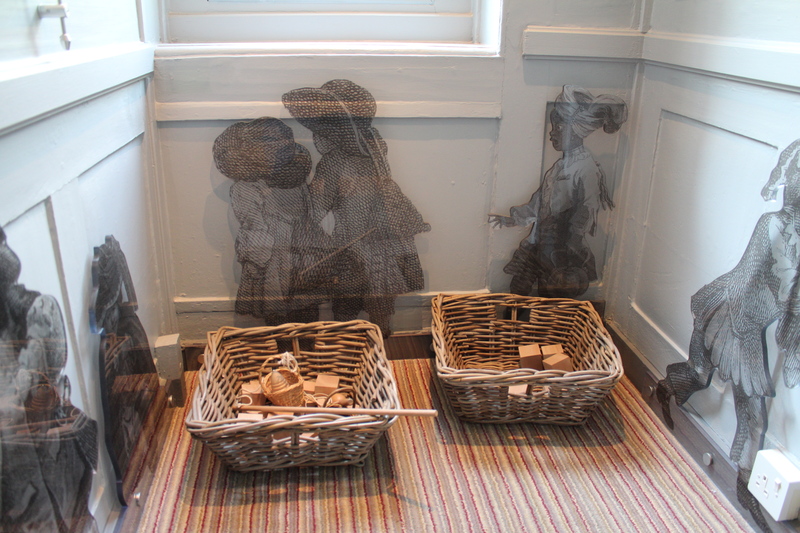 So while many of the rooms are in the Tudor style, there is also a Georgian Parlour, a Victorian Study and a chapel in a cellar to represent the residents of those eras. Remnants of some of the other groups remain in the form of a wall mural painted by a squatter, while a 17th-century fireplace peaks out from behind a staircase. Wooden panels and doors scattered throughout the house open to reveal previous brickwork, fireplaces and doorways. 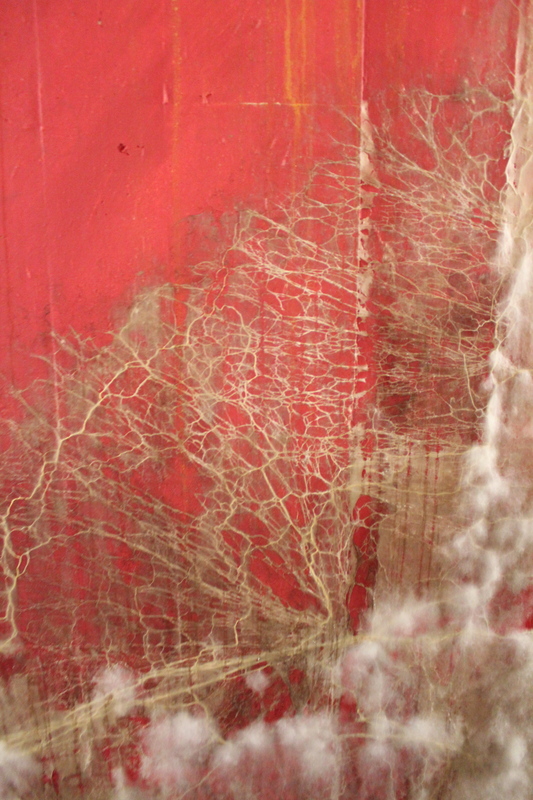 The past is not lost, it’s just tucked away beneath the layers. Sutton House is surprisingly extensive, and as well as the many period rooms there is a lovely café (housing a second-hand bookshop) to revive yourself in afterwards. As you can probably guess from the abundance of exterior shots, photography is not allowed inside for conservation reasons, so this is one property you really will have to go and see for yourself. So put off your visit no longer – though if you do wait just a little while you should be able to enjoy a new garden and eating area that is being constructed next door on what was once a breaker’s yard. 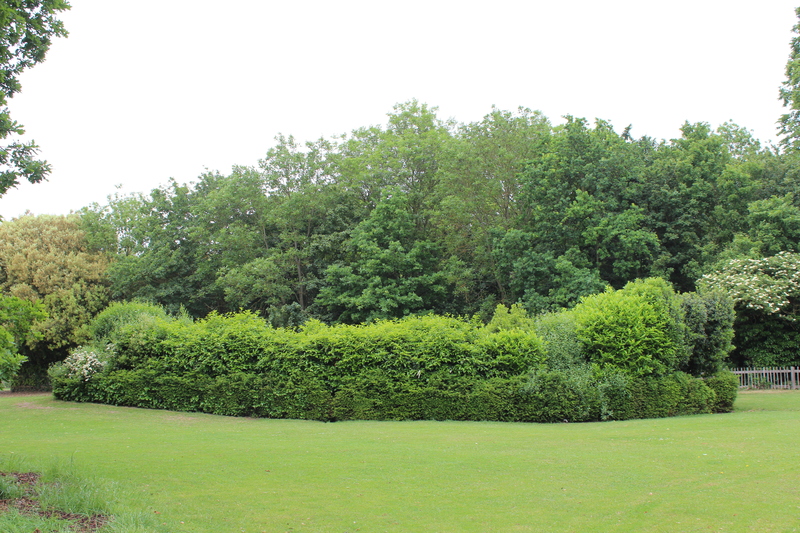 This too will contain reminders of that site’s history – and a reference to a lost waterway – and will make a visit to Sutton House an even more attractive proposition than it already is. 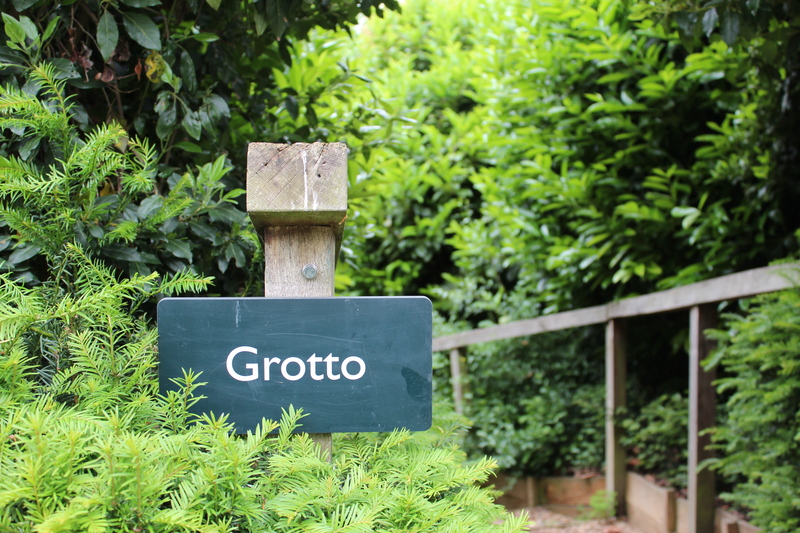 For opening times, check Sutton House’s website, as they can vary slightly. The house is located roughly equidistant between Hackney Central and Homerton on the London Overground. I’ll publish an update once the new garden is open.